Connect indoor and outdoor satellites and antennas in burial or above ground. 50 ft. Black RG-6 Ground Coaxial Cable. This cable is shielded for low signal loss and included F-connectors on each end. Digiwave RG621100WF RG6 Coaxial Cable is professional-quality cable with 18 gauge copper clad steel center conductor. Cable also swept-tested to 3000MHz(3GHz). This cable heavily 60% shielded with 100% foiled to minimize interference. Copper clad steel conductor maxima the cable length you can run. Cable is ready for use with F connector installed. 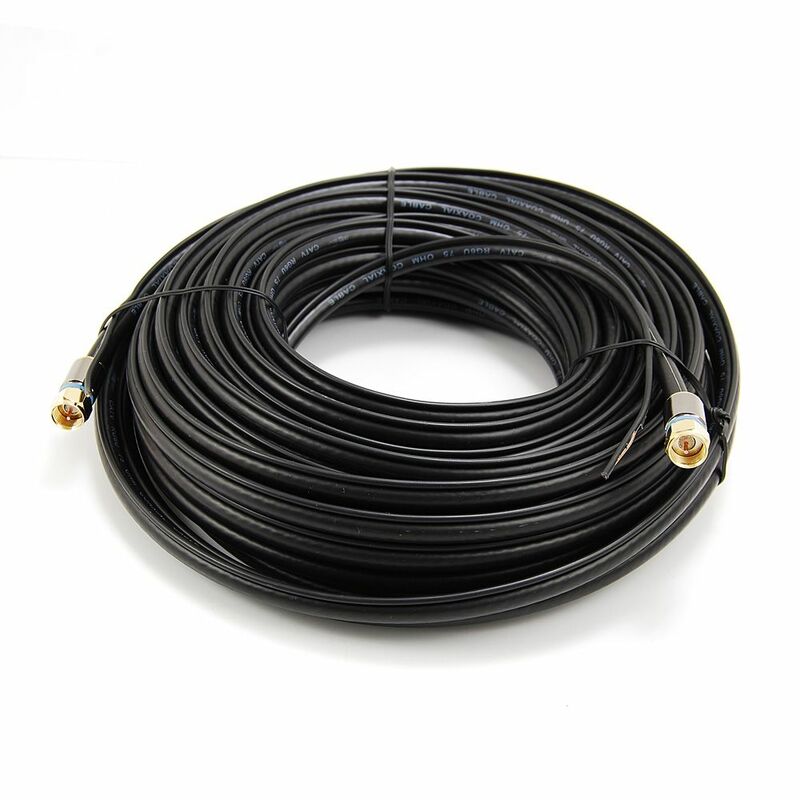 50 ft. RG6 Coaxial Cable CCS Ground Connect indoor and outdoor satellites and antennas in burial or above ground. 50 ft. Black RG-6 Ground Coaxial Cable. This cable is shielded for low signal loss and included F-connectors on each end.